Ã¢? ?I ... See More call upon GodÃ¢? ?s Name and on my own.Ã¢?? GodÃ¢? ?s Name is holy, but no holier than yours.To call upon His Name is but to call upon your own.A father gives his son his name, and thus identifies the son with him. His brothers share his name, and thus are they united in a bond to which they turn for their identity.Your FatherÃ¢? ?s Name reminds you who you are, even within a world that does not know; even though you have not remembered it.GodÃ¢? ?s Name can not be heard without response, nor said without an echo in the mind which calls you to remember. Say His Name, and you invite the angels to surround the ground on which you stand, and sing to you as they spread out their wings to keep you safe, and shelter you from every worldly thought that would intrude upon your holiness. Repeat GodÃ¢? ?s Name and all the world responds by laying down illusions. Every dream the world holds dear has suddenly gone by, and where it seemed to stand you find a star; a miracle of grace.The sick arise, healed of their sickly thoughts.The blind can see; the deaf can hear, the sorrowful cast off their mourning, and the tears of pain are dried as happy laughter comes to bless the world. Repeat the Name of God and little names have lost their meaning. No temptation but becomes a nameless and unwanted thing before GodÃ¢? ?s Name. 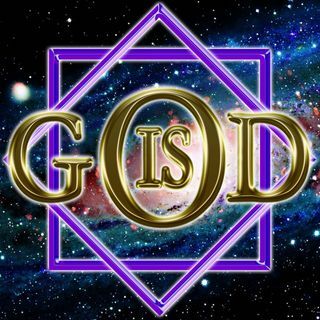 Repeat His Name and see how easily you will forget the names of all the gods you value.They have lost the name of god you gave them.They become anonymous and valueless to you, although before you let the Name of God replace their little names, you stood before them worshipfully, naming them as gods. Repeat the Name of God and call upon your Self,Whose Name is His. Repeat His Name and all the tiny, nameless things on earth slip into right perspective.Those who call upon the Name of God can not mistake the nameless for the Name, nor sin for grace, nor bodies for the holy Son of God.